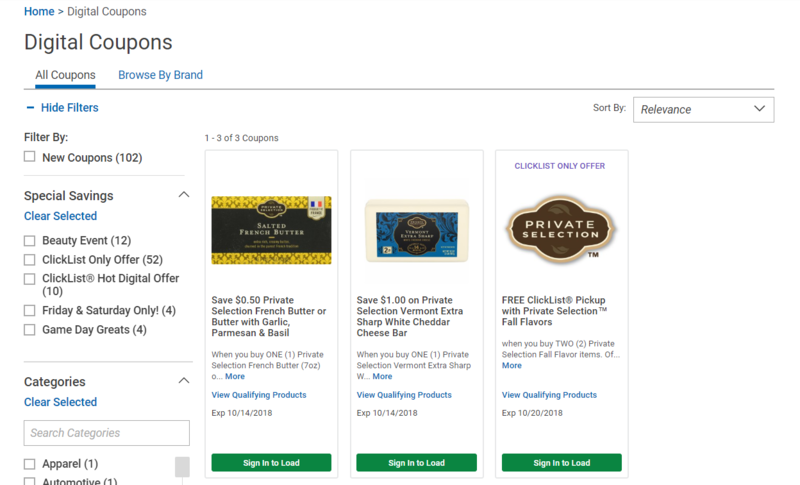 How Do 5X Kroger Digital Coupons Work with a Kroger Mega Event? Many times a 5x Kroger Digital Event and a Kroger Mega Event (like buy 5, save $5) will overlap by one day. I wanted to give you a full explanation as to why and how this happens. 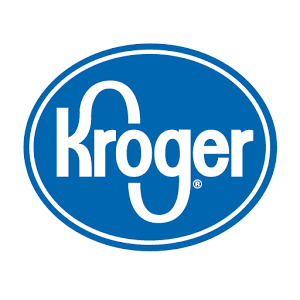 Most Kroger region’s sale cycles run Wednesday through Tuesday; however, the Kroger Central region, for example runs Thursday through Wednesday. So, the coupons won’t expire until Thursday for everyone, allowing that region to have access to the coupons for the duration of their sale cycle. When this happens, you are able to stack both promotions to get some really great deals on the first day of the Mega Event! Everyone except the Central region of course, because their mega sale hasn’t started yet. 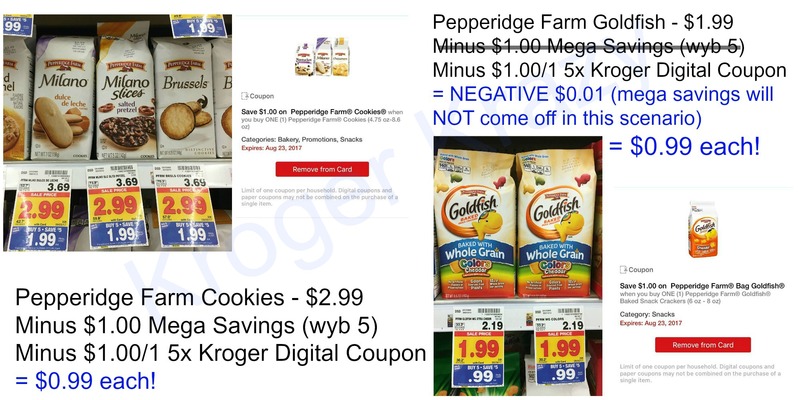 Due to the way 5x Kroger Digital coupons are coded, however…you will need to understand what works and what doesn’t work, so I wanted to break it down for you. 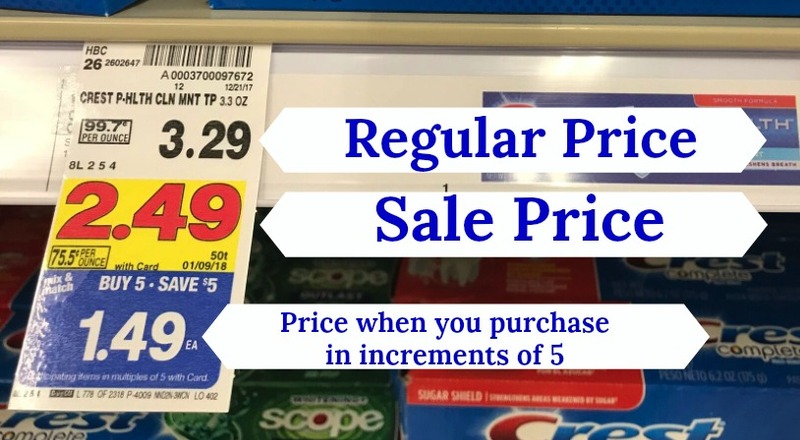 IF by using the 5x Kroger Digital coupon the price of the item does NOT dip below zero after the mega pricing is deducted, the coupon AND the mega discount will both come off at checkout. IF by combining the 5x digital coupon and the mega savings causes the price to dip below zero (like with the Goldfish) the $1 off per item mega discount will NOT come off…just the coupon will deduct. These will also not count towards your total mega items. 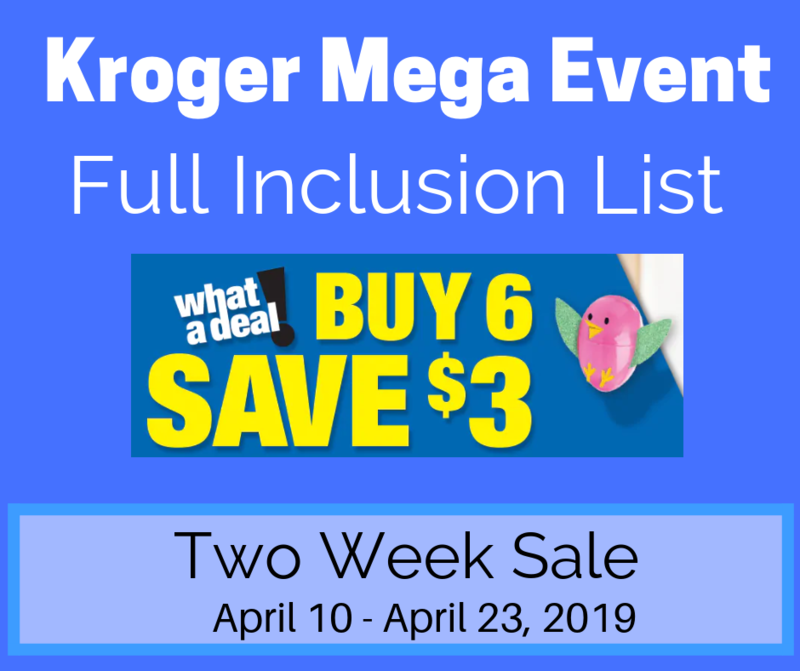 REGULAR Limit 1 Kroger Digital coupons WILL deduct along with mega savings as long as the price before the mega discount is as much as or more than the value of the coupon. 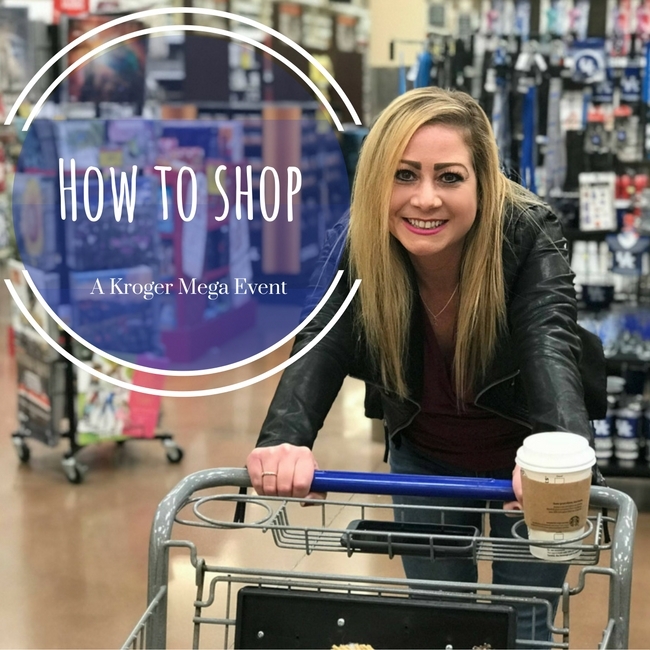 Want to learn more about how to shop a Kroger Mega Event? Check out my tutorial and video HERE. Really useful information. Thank you for posting! Is there written info that says this is not allowed or won't come off? Or are you just saying it doesn't come off automatically, meaning we have to alert an employee to do the deduction? Nope. I tried it this morning. After complaining they gave me $5 back but it didn't work. The lady in front of me at the information desk was complaining that the oreida coupon didn't work either. she got the mega event but not the digital coupon. Might want to watch for that too. The goldfish didn't trigger the mega sale at my local Fredmeyer either. However, the customer service desk gladly adjusted the price and refunded me the $5. It never hurts to ask. Also, the pepperidge farm cookies were 2.89. So .89 after coupon and mega sale, and the ore-ida frozen potatoes were 2.69 (.69 after coupon and mega sale). If my digital doesn't say "5x" anymore doesn't that mean it will only come off once? Thank you for posting this!! I have had that happen to me before where the 5X digital didn't work with a mega sale and I never understood why. Now I know what to watch for. So why did the crest coupon work during the last mega sale? It was $2 off on a $1.99 mega sale item or even a $1.49. because it wasn't a 5x coupon? at least thats the way i'm understanding it. It didn't work for me on the soda this morning at Gerbes (Kroger affiliate). I purchased 20 bottles planning on using both the 5X $2/4 and the mega sale, which would have made them $.29/each. Instead it took off $2 for the first 5 items and $1 for the remaining items, so basically it shorted me $5, which I plan to ask customer service about later today (the guy working there this morning had no clue...). I tried to do the goldfish and fruit snacks this morning. It deducted the 5x coupon off all items. It only gave me mega event savings on three of the items. I do not understand why it would even give me the 3 when you have to purchase 5 to get it at all. Not only that, but you cant advertise a sale and then not provide that discount. If anything, the coupon should not have worked but the coupon does not say that the item had to be atleast the 1.00 amount even though they were .99. So to not give the mega discount on the 5 items purchased as advertised.... that to me is false advertising. I did go to customer service and spoke with two people who could not help me. I left because I was going to be late for work. Called and spoke to the manager who still had no clue and now have to stop back at the store on my way home from work. If the coupons will not work, then they should advertise the deal that it cant be combined with coupons. There is also nothing about this in there coupon policy. I am a long time Kroger shopper and this has been the biggest disapointment. I was not provided deals as advertised, and the customer service was useless. My digitals have all changed. No more 5X's anymore, just off of 1 of each of the Mega sale items. Here in Tennessee our system does not allow for the mega and digital to work at the same time. So it will be one or the other....but it all depends on the management of the store on how they want to deal with that...and yes it doesnt hurt to ask but yall also need to understand we are doing our job as well and if management says no then we have to abide by that. No free goldfish. Customer Service said because the digital coupon was $1.00 and the Goldfish are .99 after the 5 it would not take a coupon that is higher than the product price. I had no problem with the PF cookies or Orida fries. 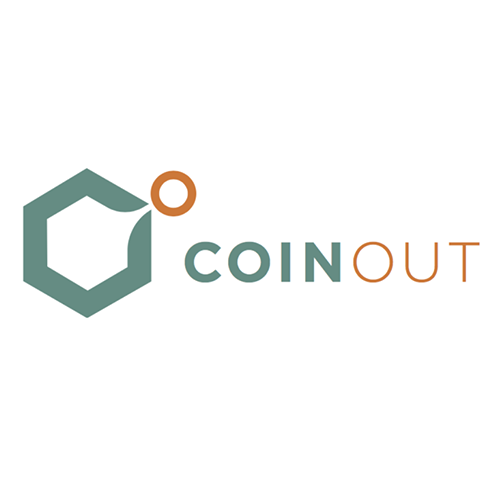 Just FYI I have had problems on different occasions with digital coupons loaded from softcoin. 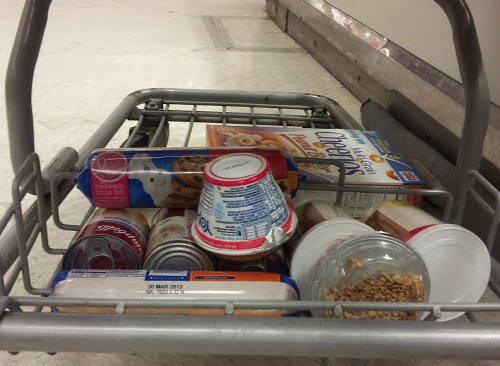 Might want to check the organic section for carts on the end cap full of Kashi cereal. Both of our Krogers have Kashi marked down to $1.49 and there is a digital coupon for $1/2, MOM Best cereal was marked down to $.79. Hmmm, all 5x coupons are now gone for me. Bummer! Your explanation is fantastic and totally voids your original post then that there were free goldfish. Because it doesn't work and now you have an explanation. This whole mega and 5x double dip is a ymmv situation. That's the answer. Thanks lala, but I never posted that the Goldfish would be free. Experience told me that it wouldn't work, which is why I posted this explanation for those who were expecting it. The cheese and ore ida worked for me. The 7 up and goldfish didn't work. This doesn't make sense if 2 out of the 4 worked then I believe they all should have or they should have refunded the money. However, I didn't try for that. So if I use 5X digital .50 coupon it will take off 2.50 right. 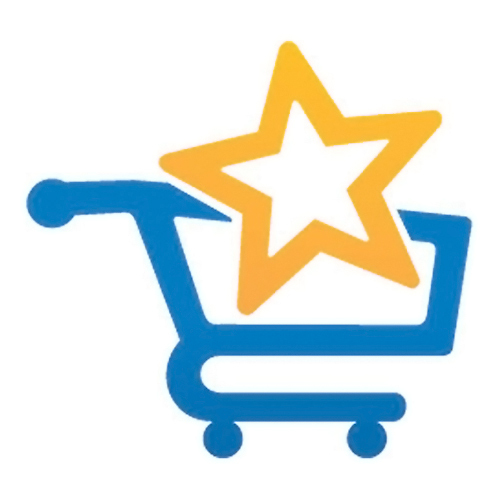 Have you tried Kroger ClickList yet? 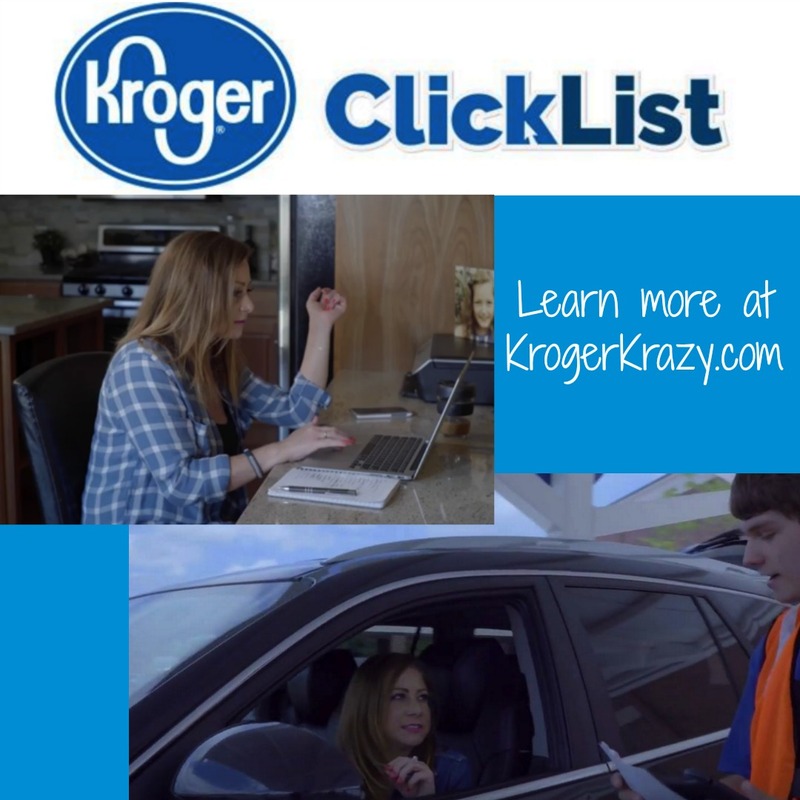 ClickList is a phenomenal service Kroger offers where you order your groceries online, choose a pickup time and pick them up at the store…without having to leave your car! I’m already hooked! It’s so easy! Just go HERE and register or login to your Kroger.com account. Then, simply browse for the items you want to purchase and add them to your cart. During the ordering process, you’ll be asked to select a pickup time and location. At your scheduled time, pull up at the Online Ordering drive-through (there will be signs to help guide you). 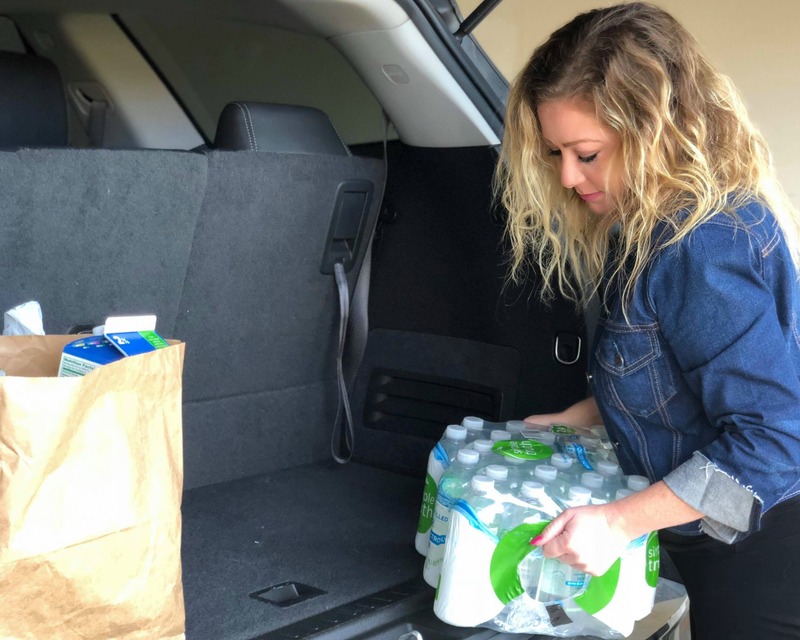 A friendly Associate will assist you and load your groceries right into your car. And off you go! Can I use Kroger Pickup on my mobile device? Yes. You can access the Kroger Pickup service on your mobile device. However, Kroger Pickup is not yet available on the Mobile App. This feature tracks your most commonly purchased items. You can browse through your Favorites and add them to your cart for quicker, more convenient shopping. Your Favorites may change slightly from week to week based on the items you purchase. What are the fees for using Kroger Pickup? The service fee is waived for your first 3 orders! 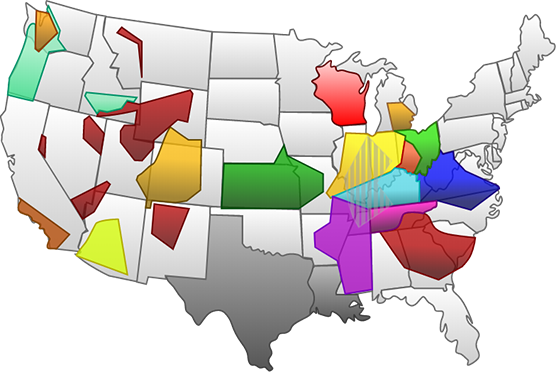 Fees vary by region for Pickup. You can find more information online at checkout, or visit your local store for details. Trust me, you will definitely save this much (or more!) by not stepping foot into the store and succumbing to those impulse purchases! 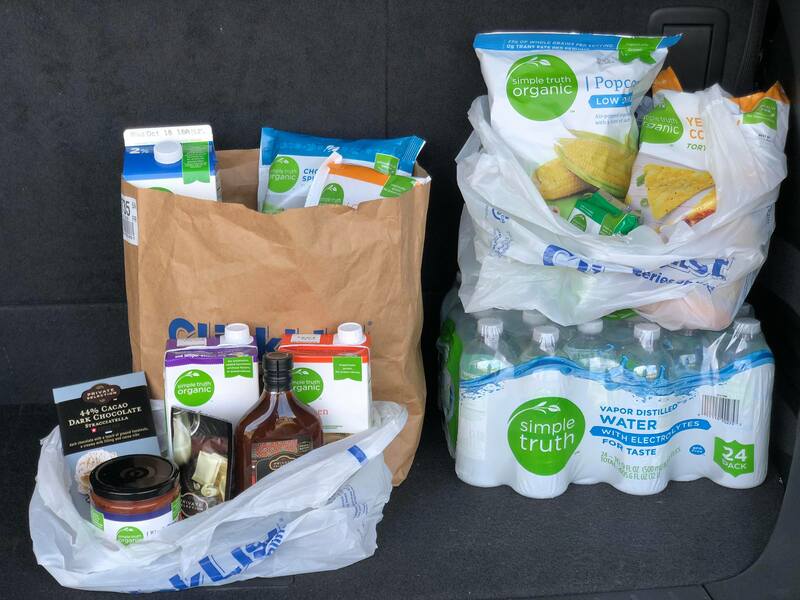 Do I earn fuel points when I use Kroger Pickup? Yes! Kroger Pickup orders count toward your fuel points just like in-store purchases. When you place your order, you will be asked to select a 1-hour window (between 8 am – 9 pm, 7 days a week) to pick up your order. You can reserve a timeslot up to three days in advance. What items are included in the Kroger Pickup service? Kroger Pickup includes no minimum or maximum orders. There are over 40,000 items to choose from, including over-the-counter health and beauty products, produce, refrigerated and frozen items, meat, seafood, wine and beer. Some seasonal items, apparel, hot foods, liquor and pharmacy prescriptions are excluded. Can I include special instructions with my order? Yes! You can include instructions like how ripe you’d like your bananas or avocados, the specific weight of your bag of cherries, how thin you’d like your deli meat sliced, etc. How do the products stay fresh until I pick them up? Perishable items like meat and produce are selected by Associates shortly before your order is scheduled for pickup. Your items will be stored for maximum freshness, including refrigeration for items that require it. What do I do when I arrive at my pickup location? When you arrive at your store, follow the signs to the Kroger Pickup area and call the number on the sign to let them know you’ve arrived. An Associate will bring your order out to your vehicle. The Kroger employee will load your groceries, and you’ll be on your way in minutes! For the safety of our Customers and Associates, Pickup orders accept credit or debit cards only. Cash, check, and gift cards cannot be accepted. We’re currently unable to accept government benefits (including WIC and SNAP) as payment. When you place your order, you’ll see an estimated total at checkout. Your card will be charged for a final total amount when you receive your order. Prices shown when you place your order may differ at the time you receive your order due to coupons, substitutions, taxes (if applicable) and weighted items. Please have ready the form of payment you used online, as well as a backup credit or debit card. Why are prices estimated versus actual? Online prices reflect the price in-store on the day you place your order. However, prices may change between the time you place your order and the time you pick up your order at the store and pay for it. For example, if you place your order on a Tuesday but pick it up on Wednesday, keep in mind that most Kroger sale cycles begin on Wednesday so things may go on or off sale at the time of payment. The exact price of each item will be printed on your receipt. While Kroger strives to keep all items in stock, an item you’ve selected may occasionally be unavailable. Their Pickup Associates are trained to make proper substitutions for out of stock items, so your order will always have the items you need, as close to your original order as possible. First, if the same type of out-of-stock item is available in a larger quantity, your order will be upgraded to the larger item. If a larger quantity is not available, but the same brand and item is available in a different package (for example, boxed sugar instead of bagged sugar), that item will be substituted. If the same brand is not available, the same type of item from a different brand may be substituted. Any special dietary items (gluten-free, sugar-free, lactose-free, vegan) will always be substituted with items that meet the same dietary requirements. Digital coupons loaded to your Shopper’s Card will automatically be applied to your order at pickup, and discounted from your total. For Pickup orders, paper coupons can’t be used while checking out online. While Kroger is happy to accept paper coupons at time of pickup, please note that this will increase your pickup time. We encourage Customers to use digital coupons whenever possible to ensure that your Pickup experience is as quick as possible. Do Catalinas Print with Kroger Pickup? No. There is no Catalina machine for this department. 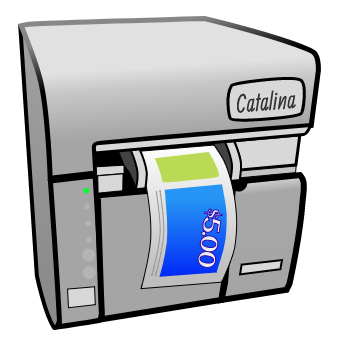 If you are expecting a Catalina to print, you must use the regular registers in store. Can I cancel my Kroger Pickup Order? If you’d like to cancel a pending order, visit “My Purchases“. Select the order you’d like to cancel and choose Cancel. 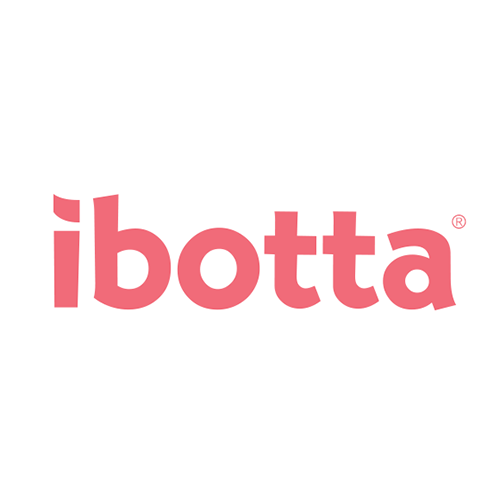 If you experience any issues cancelling your order, please contact Customer Service at 1-800-576-4377, Monday through Friday, 8:00 am to Midnight ET, and Saturday and Sunday, 8:00 am to 9:30 pm ET. Did I miss anything? Let us know your tips and if you’ve been enjoying this awesome service!! 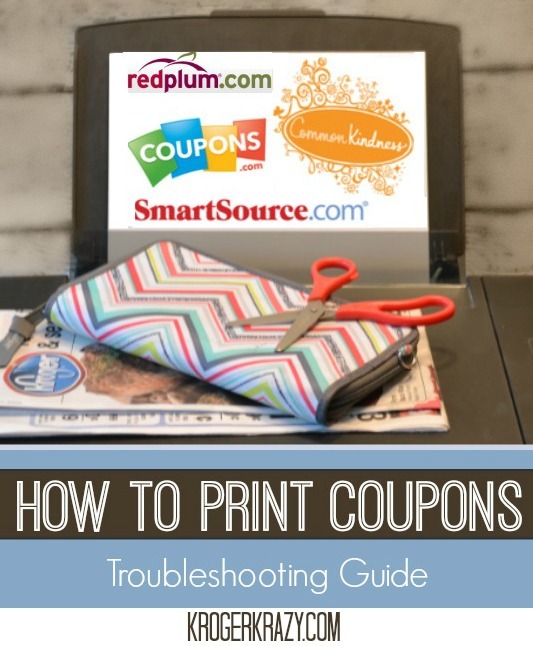 If there is a HOT coupon on coupons.com then you want to make sure you get your prints, right? 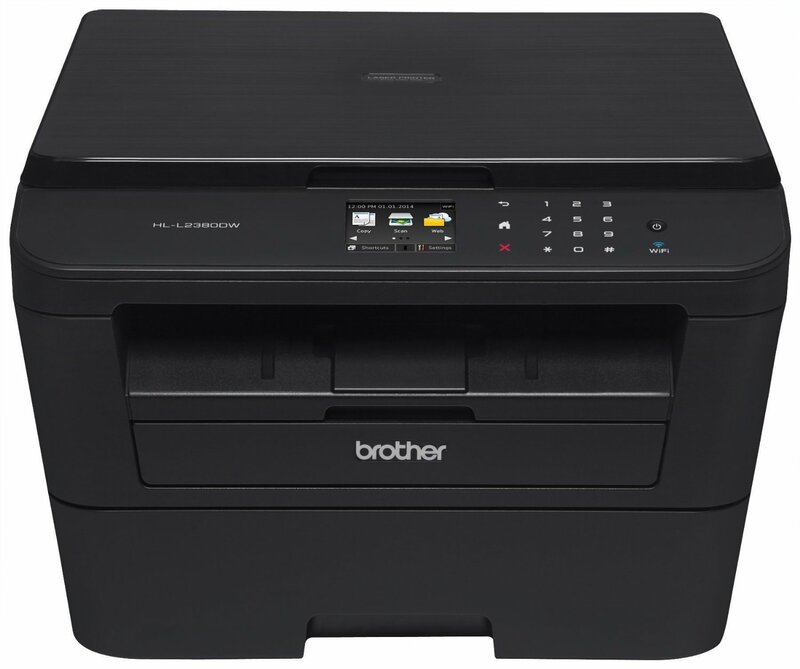 If you don’t have a printer, looking to buy a new one or just need some advice, then I’m here to help. Printing coupons doesn’t have to be expensive but the savings you get from using coupons can sometimes be a huge savings. 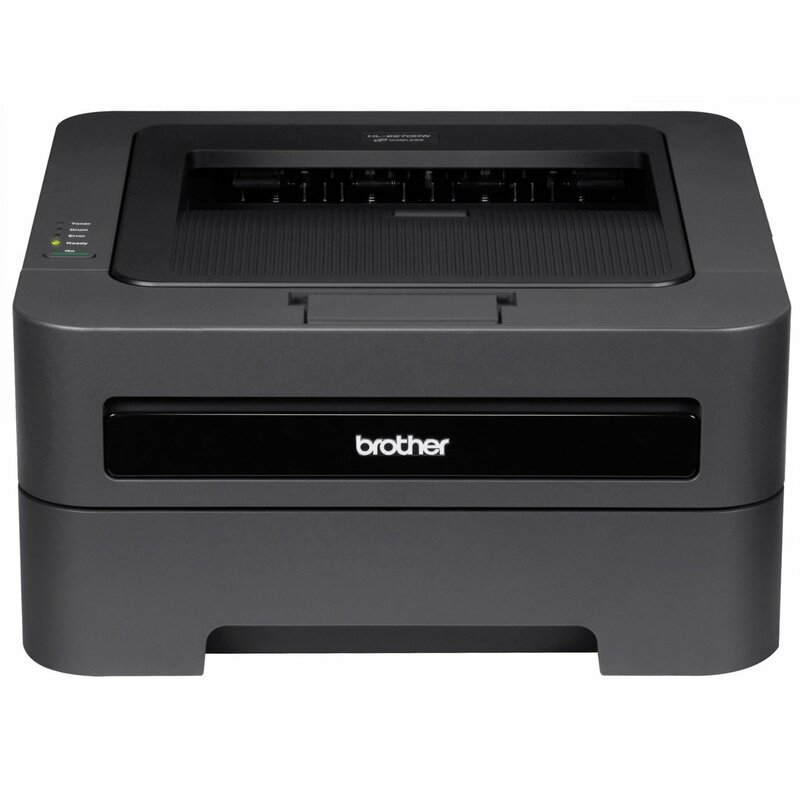 Ready to buy a printer?!? Of course, shop around to find the best price for YOU. Amazon’s prices change so much so if you have one you like, keep your eye on it daily as they make drastic changes to their prices. Printing coupons really does save you soooo much money! Do you need help printing coupons from you computer? If so, go HERE. Do you need helping printing from your phone or mobile device? If so, go HERE. Here are some printers that I recommend as well as some fellow Kroger Krazies! If you have a printer that you LOVE and would love to recommend to fellow Kroger Krazies then please let me know in the comments. I would love to add to this page so help each other out! 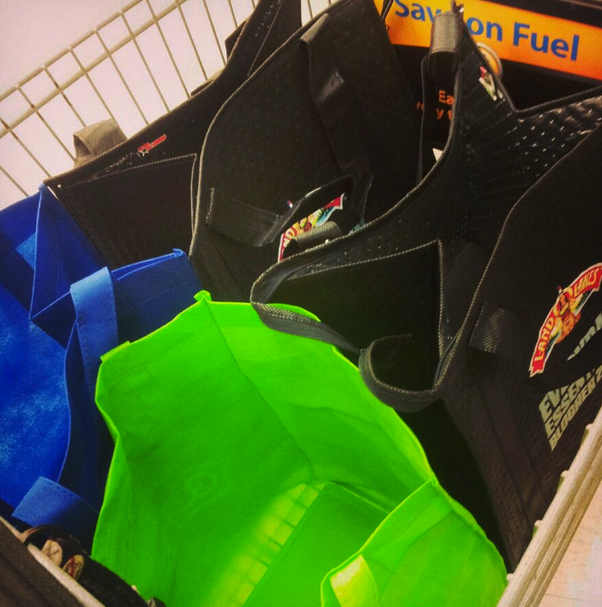 So you’re asking…how do Kroger fuel points work? I wanted to help answer your questions in hopes you’ll be less confused (if you were). 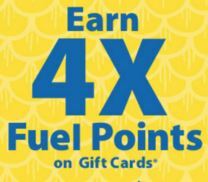 The fuel program allows you to receive savings of up to $1.00 off per gallon one one fuel purchase up to 35 gallon at Kroger, Turkey Hill and participating Shell stations. For each increment of 100 fuel points (up to 1,000 point) you will receive $0.10 per gallon. Earn points in current month and redeem thru each month. Each month is a separate accumulation period. Months’ points don’t combine in a single transaction. These are special promotions that Kroger does a few times a year and you’ll find about from them here. 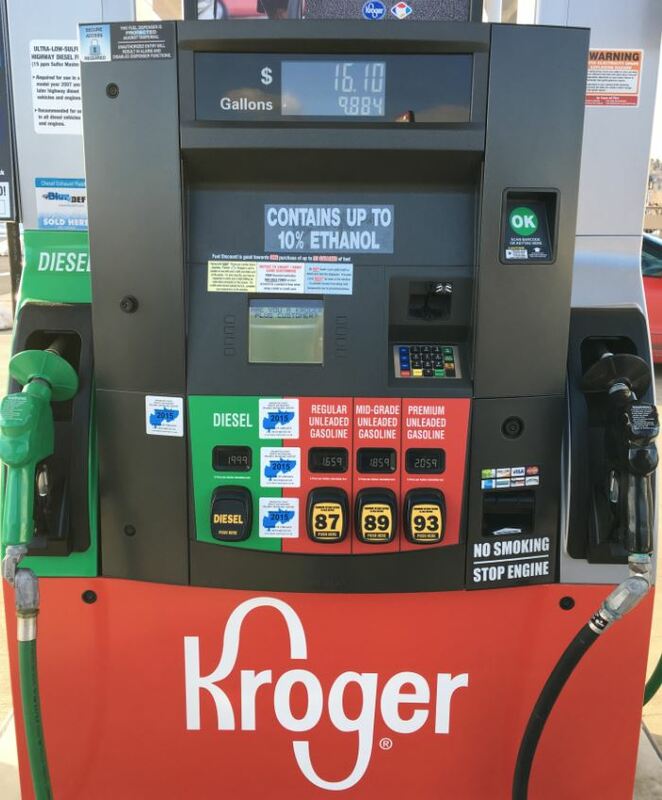 Your total fuel points are calculated after you have given your Kroger card but also after all Kroger Digital coupons have gone off your order. Fuel points are given BEFORE you hand over your manufacturer coupons. 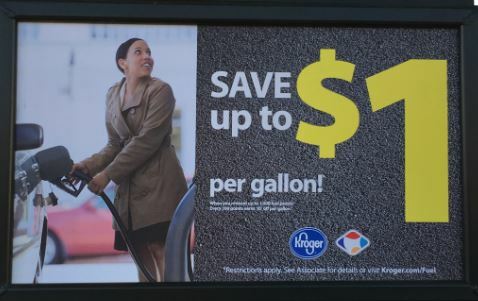 For example, if your Kroger bill is $104.65 and you hand over your manufacturer coupon and your total now becomes less than $104.65, you will STILL receive 100 fuel points for the total BEFORE printable or insert coupons. Yay! 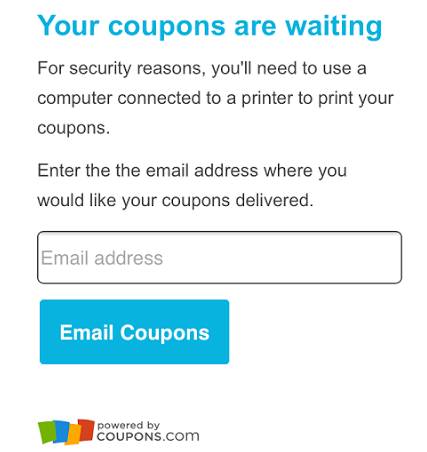 Coupons.com is now making it even easier to print a coupon. I know many of are mobile when you view the posts from KrogerKrazy.com. BUT I am happy to tell you that you can now click on the link or coupon image and it will take you directly to the coupon to print. From the blog, once you click on the link you will see this image (Is this device connected to a printer?) and if your phone or mobile device is, click yes. You will then be prompted to enter your cell number (my iPad is connected to my phone so I was able to do this just once). 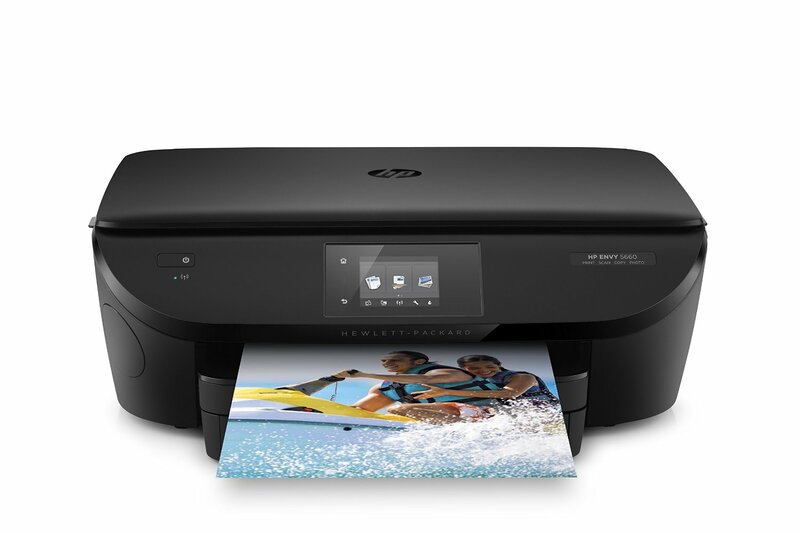 In order for this to start you will be texted an authentication code before they can print and must be connected to a wireless network with an AirPrint or Wireless enabled printer. You will get an SMS text in less than a minute which you will enter. 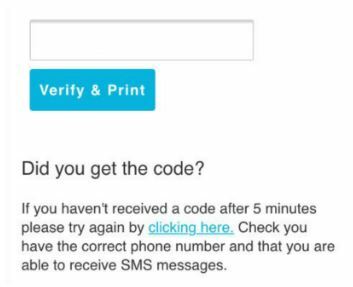 Once you have entered the code and verified your device this is ALL you have to do. The coupons will then be sent to your printer. 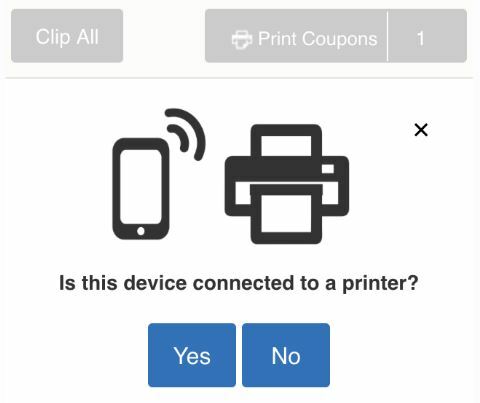 Each time you go to print the coupons, you will have to click “yes or no” to let the device know that a printer is connected but no more SMS texts. It’s THAT easy! Now get printing to stock up on even more deals that are posted!! 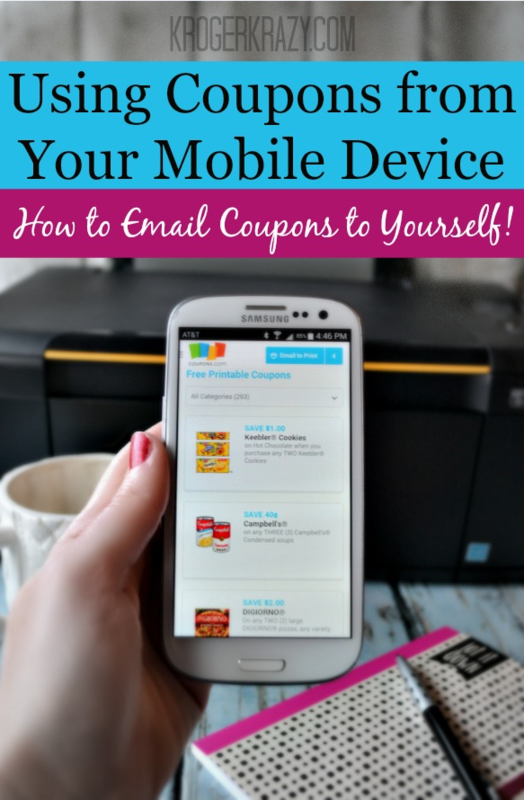 Using Coupons from Your Mobile Device - How to Email Coupons to Yourself! Do you view printable grocery coupons from your smartphone or tablet? You can now clip coupons and email them to yourself to print when you have access to a computer and a printer. Follow these easy instructions. 1. 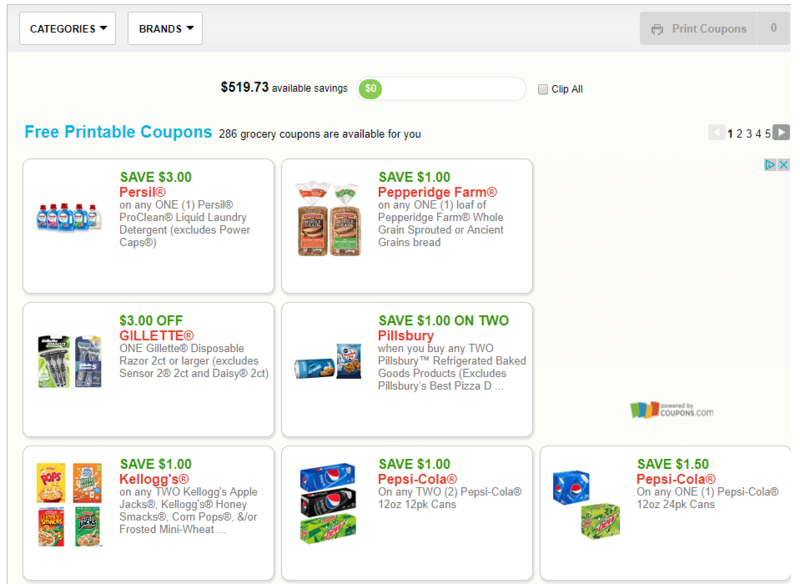 Select the coupons you like and click the “Email to Print Coupons” button (this is normally where you saw the print button). 2. 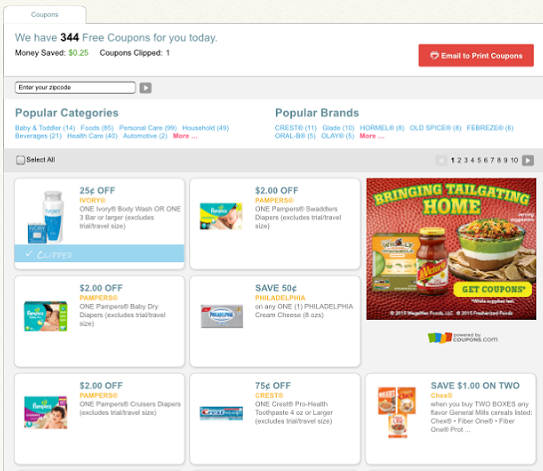 Enter your email address and click on “Email Coupons”. 3. Check your email once you have access to a computer and a printer, then follow the “Print Coupons” link to your coupons to print. This is what my email looked like as soon as I opened the message. It took less than one minute for my coupons to appear. 4. 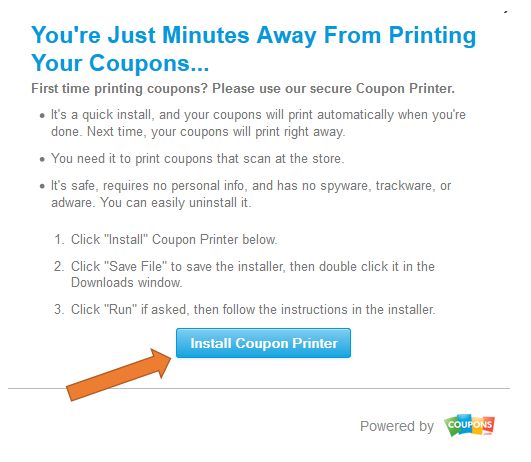 The coupons that you emailed to yourself will be pre-clipped once you click print coupons as shown above. You’ll be ready to print and head to Kroger! I love this option because many of you check out my deals via a mobile device but can’t print those awesome coupons that show up. This will help you in making sure you don’t forget about the awesome coupons. Please be aware that you’ll need to be using the “desktop” version from your mobile device. If you are in the mobile version, simply go to the bottom of the page and you’ll find two buttons, one that says mobile and one that says desktop. Click on the “desktop” tab and you’ll be rerouted to do what the instructions show above! What is a Mega Event? A mega event is a promotion that Kroger does several times a year. Unlike typical 10 for $10 sales, you MUST purchase the quantity of items specified in that particular promo in order to receive the mega sale discount. 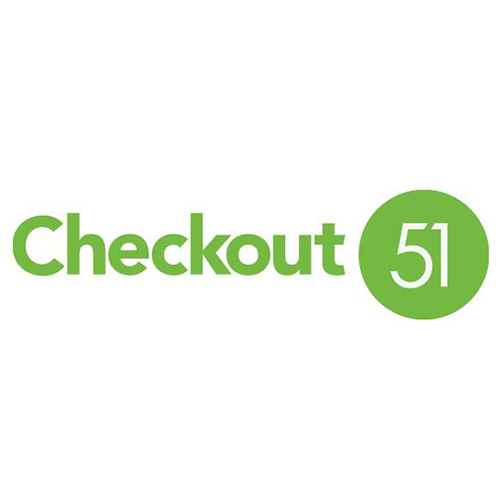 For example, “Buy 5 participating items, Get $5 off instantly”. You must purchase in increments of 5 in order to receive the additional $1.00 off per item. You can mix and match these items and receive the discount as long as you purchase in multiples of 5 in the same transaction. Here’s what the ad will look like. When you see this, start to get really excited because you’re about to save a LOT of money! 🙂 The ad will outline the price BEFORE mega sale discount, and also after. I always just pay attention to the bottom number. Here is an example of a mega event sale tag. 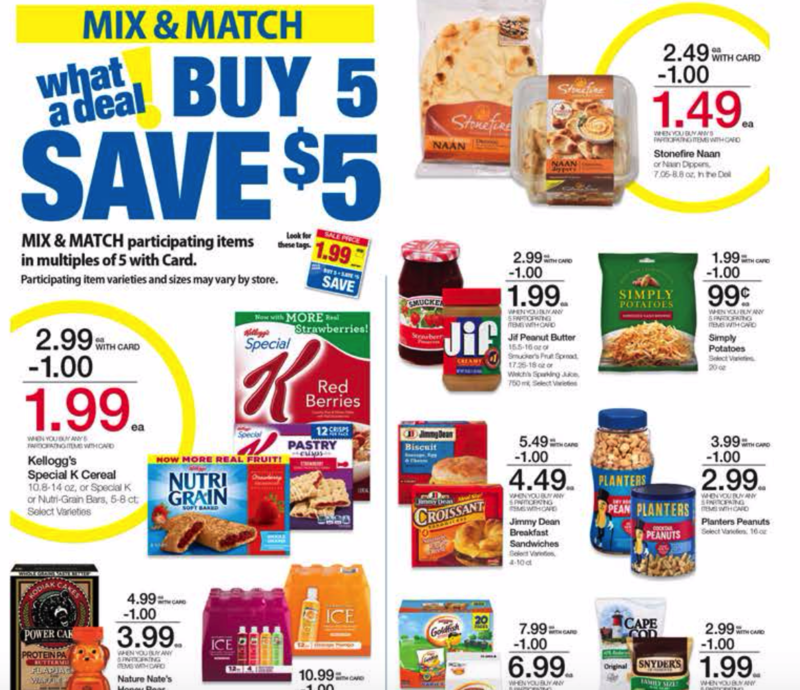 Notice there is a “sale price” of $2.49, and then a 2nd price of $1.49 if you purchase 5 participating items. 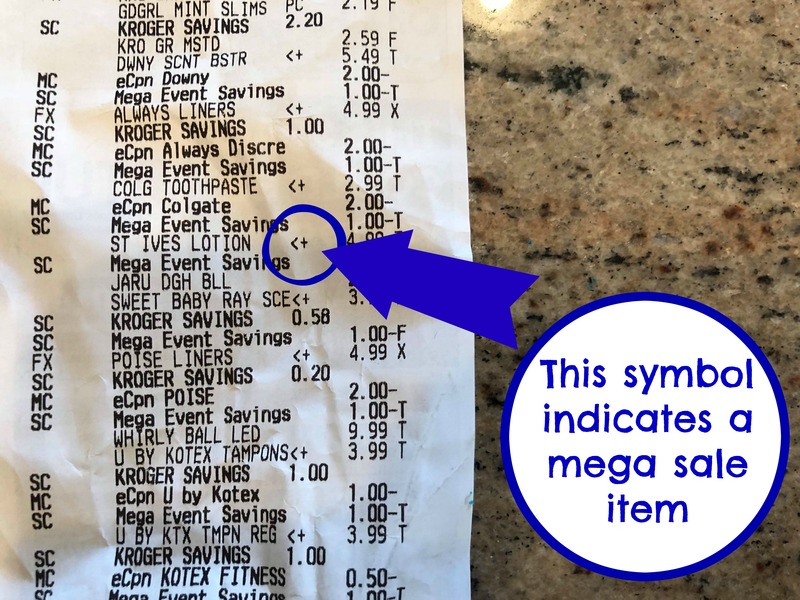 The mega discount will come off immediately at checkout when the item is scanned (after you’ve scanned your Kroger Plus Card). You will see a participating mega item marked on the receipt with a <+ symbol. Not all participating mega sale items will be advertised in the sale ad. There are always tons more items that will just be identified by in-store signage, so be on the lookout for those mega sale tags! Since it’s very important to keep track of how many mega items you are purchasing so that you don’t miss out on the extra discount, you’ll need a system. There are many ways to keep track of your mega items, but I’ll give you a few tips. What the picture above shows is my current method. As soon as I walk in the store, I take a few of my reusable shopping bags, open them up and place them inside my cart. I then place all my mega sale items in the bags as I shop. Once your bag contains 10 items, you close it up! No more hiding in the last aisle at Kroger counting 50 items! Or, if you’re really diligent about keeping track of items that enter your cart, you can do the old fashioned tally system on your shopping list. Do what works for you…just make sure you keep track! You do NOT want to get through checkout just to realize you counted wrong. If this DOES happen, you have a couple of options. What if I Miscount My Items? 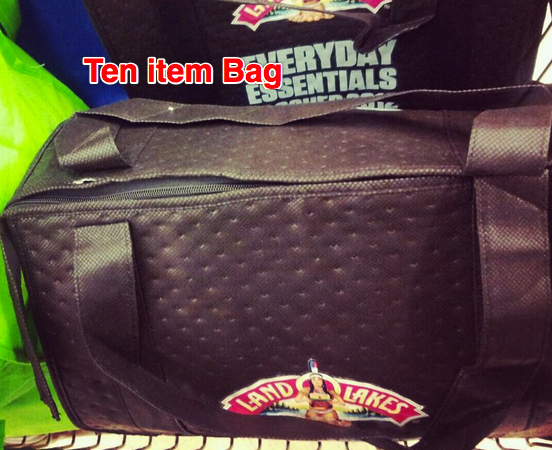 Scenario #1: You’re counting mega sale items as you put them on the belt at checkout and only count 48 items. If you know what other 2 items you want to grab, just have the cashier ring up 2 extra of that item and go get them off the shelf AFTER you checkout. Scenario #2: You don’t catch the mistake until after you checkout, maybe even after you get home. Just go pick up any extra mega sale items that you need and take them along with your receipt to the customer service desk and they will make it right. The majority of mega events do NOT have limits to how many items you can purchase in the same transaction. I hope this helps answer some of your questions on how a mega sale works at Kroger. Feel free to leave a comment if there’s something I didn’t think of or if you have additional questions! 2014 UPDATE: Check out my new video that walks you through the process! One of my biggest frustrations with being a couponer and it may just be yours too is seeing a coupon that I post and running to your computer to print and…nothing. If you’re like me you get easily frustrated because you know that coupon will disappear at any time. I wanted to give you some tips to make sure that your printing goes as smoothly as possible. 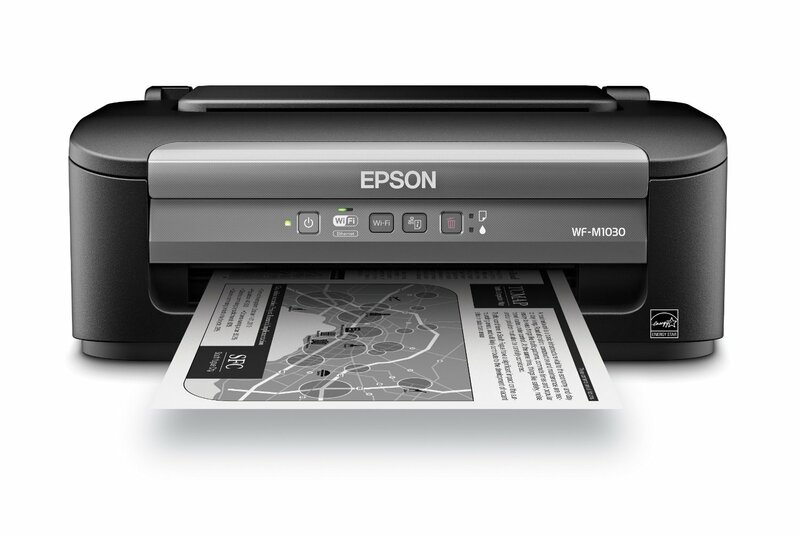 On top of that, if you have printed before and your luck ran down, I also want to provide you with some tips to get that printer printing again in no time. Good luck! 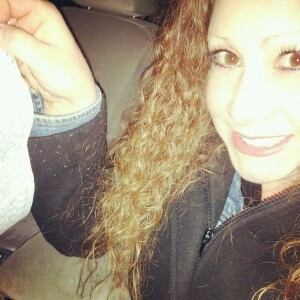 Begin by going to my coupon printing page where printing will quickly be a breeze! 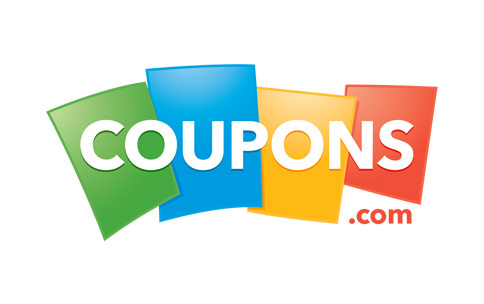 Click the coupons that you’d like to print by simply clicking on the coupon. A circle will appear letting you know that you want to clip the coupn. 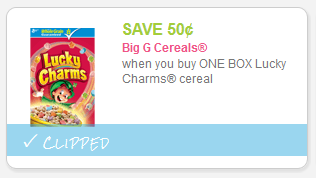 The coupon will show up on your page as being clipped until you choose to print the coupon. Once you have chosen all the coupons you’d like to print and if this is your first time you will need to install a coupon printer. This is safe for your computer and Kroger Krazy will never send you to a site that is unsafe so use your best judgement. 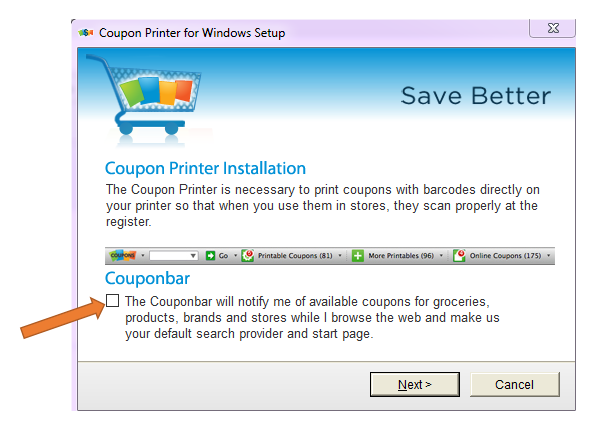 Begin by clicking “Install Coupon Printer” and allow the computer to make changes by clicking YES on the next pop up screen. If you’re like me, you prefer not to have the Couponbar on your browser. It’s a total preference but if you’d rather not have it, uncheck the box BEFORE clicking the next button. Now run (or walk, whichever you’d like) because your coupon should be sitting in the printer ready for you to start clipping. :: Say what? Your coupons didn’t print? I say this all the time but I mean it. First start by switching browsers. I recommend Google Chrome, Mozilla FireFox and Internet Explorer. Make sure that your browsers are up to date as well. Google Chrome: Google Chrome will update automatically as updates are released to the public. When updates are available they’ll appear on the “Menu” Chrome Menu button icon. You can also check to see if you’re running the latest version of Chrome by clicking on the Menu icon and then clicking About. If Chrome is up to date, it displays a check mark with a notice mentioning you are up to date. Mozilla Firefox: Mozilla Firefox will automatically download updates and prompt you when updates are available to install. To determine if the Firefox browser is up to date open the About box by clicking Help in the File menu. If you don’t see the File menu press the Alt key. In the Help menu click About Firefox to display the About Mozilla Firefox box. If the latest version of Firefox is installed, you will see a “Firefox is up to date” message in the about box. Otherwise, you’ll have an option to download the latest update. If you are unsure if you are running on the latest download, go HERE. Internet Explorer: Microsoft updates Microsoft Internet Explorer with its Windows update feature. As long as you’re installing all of the latest updates from Microsoft you should be running the latest version of Internet Explorer. For more info, go HERE. 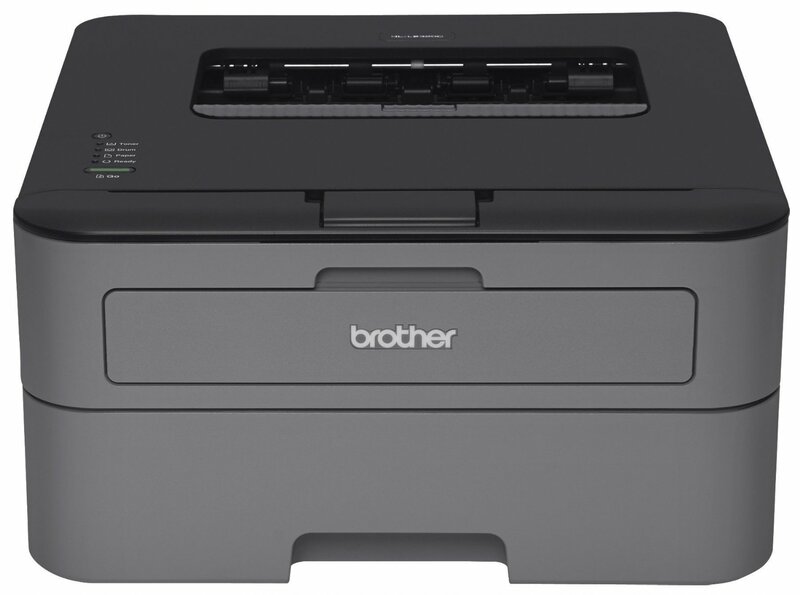 Do you have more than one printer attached to your computer? If so, make sure the printer you want to print to is listed as your “Default Printer”. 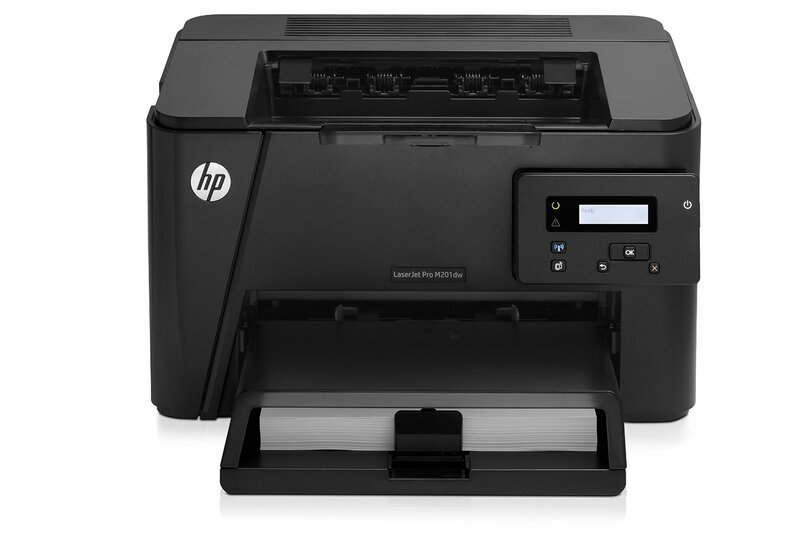 If you print to another computer, there’s a good chance it could still be sitting in a queue so you’ll have to attach to that printer and put it out there to get it to print. 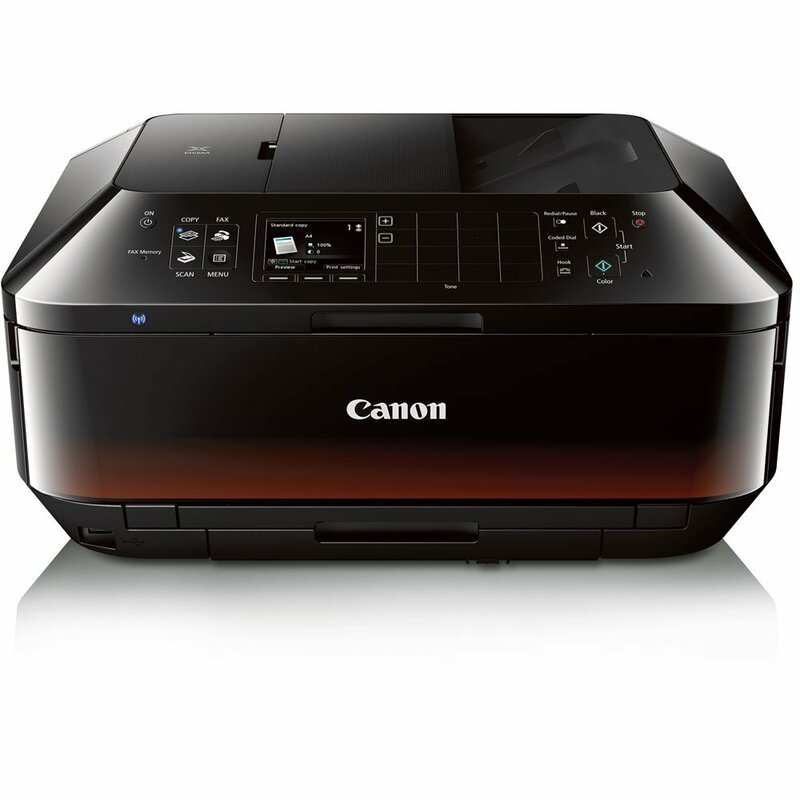 If your Firewall is set to the highest security settings this may not allow items to print. You can turn off your firewall to print the coupons and then turn it back on as soon as you are finished. I realize this is just another step but sites that I recommend are safe. 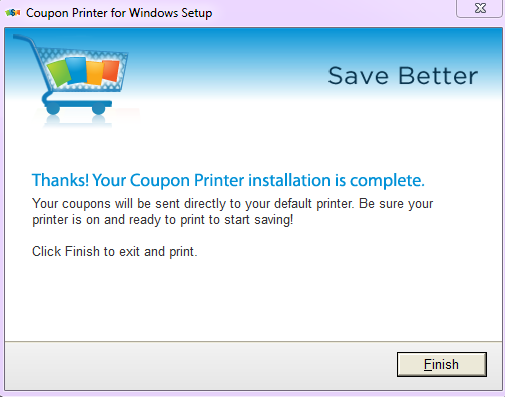 Uninstall and reinstall your coupon printer. I have had to do this before to get my coupons to start printing and doesn’t take that long so put this on your list. I probably should have added this straight to the top because I know this is the most frustrating aspect of printing coupons. If you are still having problems printing them I really recommend you follow the steps below so you can start printing these high value coupons. First, make sure you clear your browser’s cache and cookies. Do this with the browser you intend to use for printing coupons. IE: Internet Options/Browsing History/Delete button. 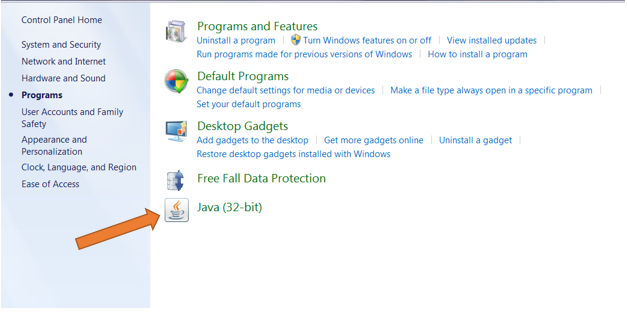 Next, if you’re on Windows, you’ll want to uninstall Java. Go to Control Panel and depending on your operating system you’ll select Programs/Add or Remove Programs, or Uninstall Programs. This article explains uninstalling in detail. Make sure you close all browsers before uninstalling Java. Don’t have Java? Move on to the next step. On a Mac? Read this article! You’re now ready to install! 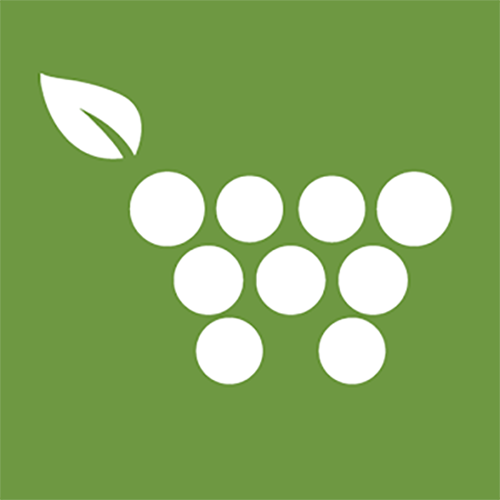 Click here to go to the Red Plum Test Coupon page. Select the coupon and then click the Print button. The software will download, and you’ll need to install it. There’s a step-by-step article HERE that shows how it looks on different browsers. When finished, you’ll know it worked when the test coupon prints. You’re almost there! Just one more step! 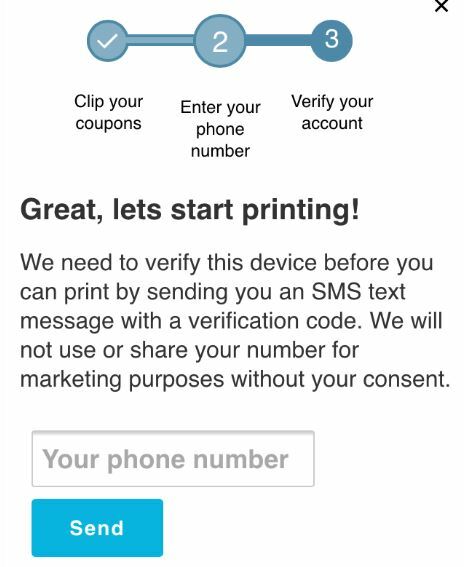 Select and print the test coupon again, and you’ll get the Protocol Acceptance message. You can set it to remember, click Allow/Ok/Launch (depending on the browser), and that’s it. The step-by-step article HERE shows how Protocol Acceptance looks on different browsers. Trust me, it may seem like a lot of work but going through the steps may put you one step closer to printing the coupons! Go to Red Plum to start printing and saving. I get it, you’re frustrated and you just want to give up. Here’s something else you can try. This WILL be worth it. We both know it. First, close your internet browser (IE, Firefox, Chrome). 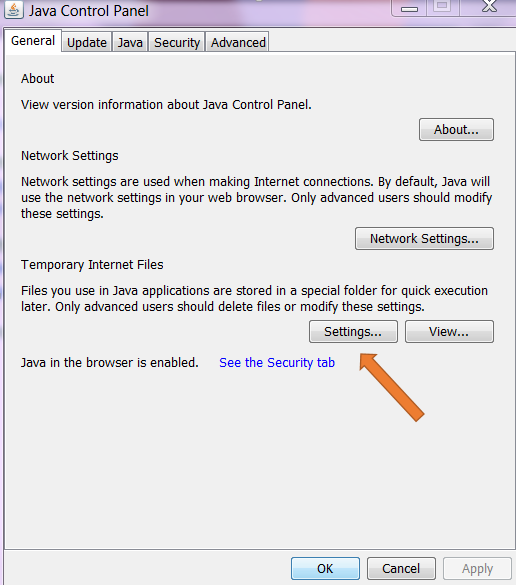 In Control Panel, select “Programs”, and then click “Java”. This opens the Java Control Panel. Under the “Temporary Internet Files” section, there is a button called “Settings”. Click this button. 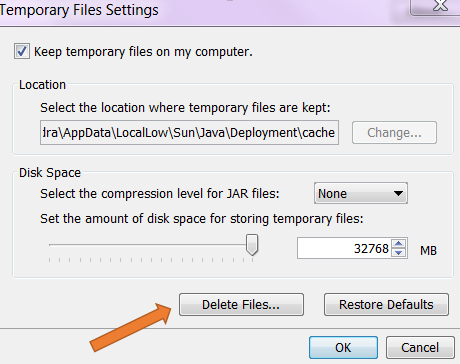 A new window will now pop up and is titled “Temporary Files Settings”. Near the bottom click the “Delete Files” button. 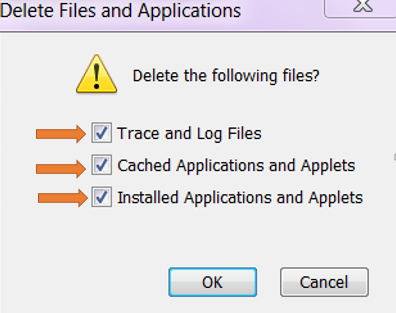 When the “Delete Files and Applications” box appears, make sure all three boxes are checked, including the box next to “Installed Applications and Applets”, then click OK. This will not hurt your computer – you’re clearing out a bunch of older files you no longer need. 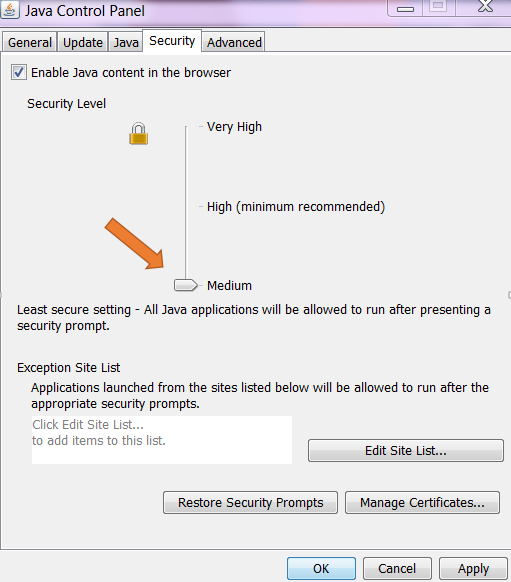 Close the popup boxes to return to the main Java Control Panel window. Click the “Security” tab. Set the security level to “Medium”, then click Apply. Click OK to exit out of the Java Control Panel. Restart your browser and try printing again. Your browser may prompt you to allow printing. If you are a Mac user then you will follow the same steps only you’ll get there a little differently. To follow these same steps, go HERE. Did this work for you? I hope so because printable coupons can put our fingers on rare or even high value amounts that we can’t get from the newspaper. Let me know in the comments if any of this helped. Notice anything different around here? I have a new site design and have added a few new helpful features. I hope you love it as much as I do!! Take a moment to watch the video I did to get more acquainted. 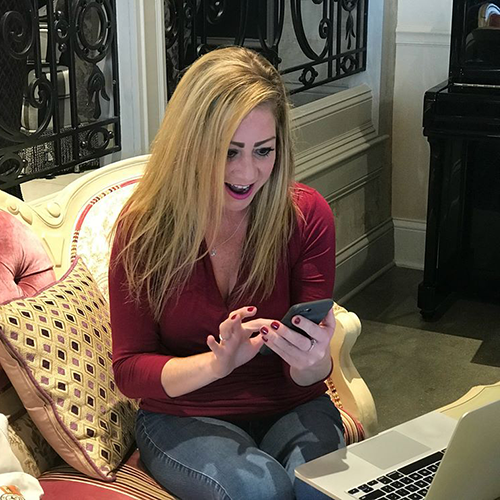 And if you’re new around here, I show you exactly how to use my site! Let me know what you think in the comments below!! READ READ READ!! Check out my series of “Getting Started” posts HERE and then let me know if you have any specific questions.